Costs – Did you know it costs less to have stumps grinded or removed from your yard in Arlington, Texas than it is to have your trees trimmed? Learn more about the average costs for common tree maintenance costs in the area. FAQs – Before creating the designer landscape for your lawn in Arlington, make sure to know these rules and regulations set forth by the city. Also see what trees thrive in the Texas landscape and be aware of bugs that might prove a challenge to growing that perfect forest. 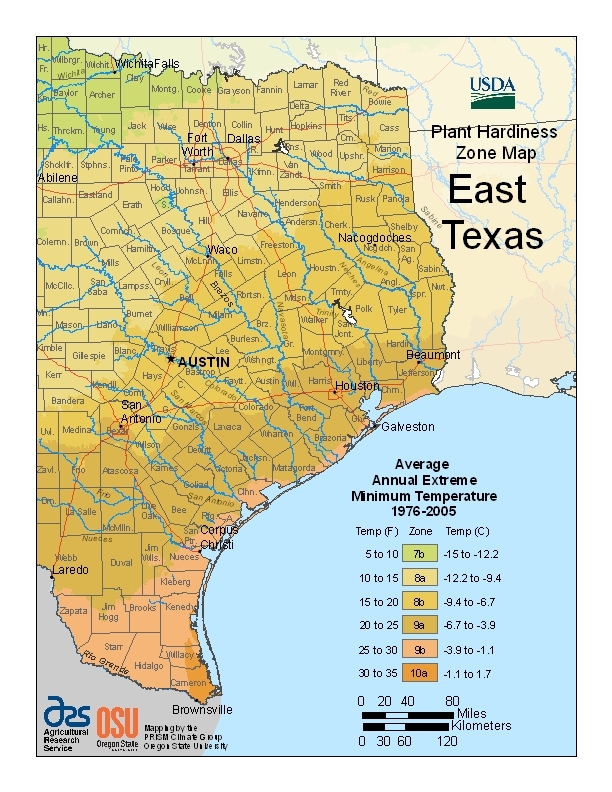 We’ve also found a map describing the plant hardiness of East Texas for you to use as a comparison before you start growing your own trees. Services – Find the arborist closest to your home in Arlington. How Much Do Tree Services Cost in Arlington? Tree services are an important part of maintaining your Arlington, Texas property. Unfortunately, many homeowners are put off by the seemingly high prices. Here’s how to find out if you’re paying a fair amount. Naturally, the costs of tree removal vary depending on how much work you need done. Some tougher hardwood species are also more expensive because they take more work to deal with properly. Although online estimates show that most Arlington homeowners in the area pay between $368 and $512 for these kinds of tree removal services, with the average cost around $440. How Much Does Stump Grinding or Removal Cost? You’ll note similar trends with other tree care services. Stump grinding is usually lower, with an average cost of $75 to $150 per stump, but they’ll increase for jobs that are harder to access or larger than normal. Stump removal is higher because it involves the complete uprooting of the stump, between $300 and $350. Tree services may seem expensive at first, but that’s usually because you’ve let things get out of hand. After you’ve trimmed your trees and shrubs back a bit, tree professionals won’t charge you as much for related services. However, trimming and pruning trees yourself is generally not recommended and best left to someone knowledgeable about tree maintenance – typically an arborist or tree service professional. Typical tree and shrub maintenance costs in Arlington average about $440, with most homeowners spending between $377 and $503. The cheapest reported costs is around $180 and going up to approximately $700. The cost will depend on a variety of factors including size of tree and how much needs to be trimmed or pruned. Maintaining your property and keeping it in good condition, and paying a little extra every now and then for regular services like landscaping and tree trimming is a great way to save more when the time comes to remove entire trees later on. Tree removal, trimming, pruning and cutting are all important responsibilities that property owners in Arlington shouldn’t neglect. Remember, however, that the actions you take and methods you use are subject to local guidelines. Arlington works with a single utility that manages all power lines no matter who you actually pay for your power. This company often prunes or removes trees that grow near major power lines as their contract with the city gives them right of access to your property during reasonable hours. This doesn’t mean that you should just wait around for your trees to get trimmed for free. You don’t know whether the utility company will remove them in a fashion that maintains your property’s appearance. In most cases, they’ll prune these trees as far back as possible with little regard for how it looks. Furthermore, they’ll only remove trees close to the main high voltage line, not the one that actually goes to your building. Those are your responsibility. Larger trees, like the mesquite and Mexican plum, are also grown for shade and decoration. Remember, however, that any tree left to its own devices will grow as much as it possibly can. Arlington has a favorable temperate climate that supports many types of tree species. You may also be able to obtain trees for free from the city’s periodic giveaways, which often offer species like buckeyes, cypress, elm, oaks and willows. Trees offered by the city are usually native species from the surrounding area, so they’re easy to grow. If you want to branch out and grow something that gives back, consider yourself lucky. Texas’ state tree, the pecan, is a prized producer of delicious nuts. The state is actually the highest-volume producer of natural pecans, and the tree is fairly easy to grow. If you do plant a pecan tree, remember that they can grow over 150 feet tall and quite wide, so pick your site carefully. 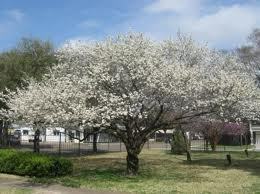 Other fruiting trees typically grown nearby include the Mexican plum (Prunus mexicana), black cherry (Prunus serotina), and the common paw paw (Simina triloba). Keep in mind that while most of these survive without a problem, they won’t all produce fruit with the same regularity. 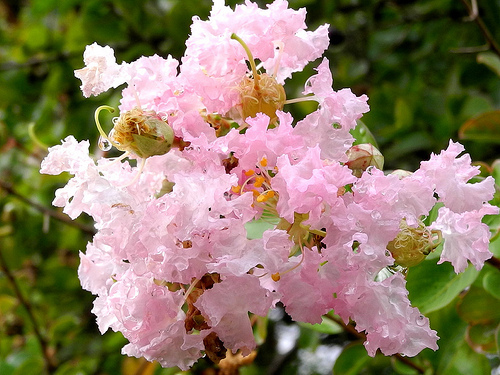 Arlington is in USDA Hardiness Zone 8, which means that many trees and ornamental shrubs from colder climates also flourish here. It’s important to remember that trees aren’t the only things that grow well in the area. One major uninvited guest you need to watch out for is kudzu. Although it looks quite pretty when flowering, this invasive vine smothers other plants and trees by blocking out their light, even if they’re relatively mature and well-rooted. Kudzu is nearly impossible to kill effectively because of its extreme proliferation and deep taproot systems. Although they’re labor intensive, regular mowing and mechanical removal are the best solutions. These methods are way more effective than herbicides or biological agents that can also unintentionally cause collateral damage to other species. Texas trees are subject to numerous viral diseases. Many of these target certain species, like the fungal diseases and nematodes that target specific citrus trees. Other diseases, like erwinia carotovora, or bacterial soft rot, and pyhtopthora, or crown and stem rot, are caused by water mold fungi that are extremely opportunistic. These do affect particular species, but they will spread to others if the conditions are right. Avoiding excessive watering, creating proper drainage and hiring tree removal services to deal with any affected growths immediately are the best ways to maintain a healthy ecosystem on your home or business property.